Going camping a month ago with the family. I didn't get much sleep, but enjoyed the silence of the desert, watching the ushering in of twilight. The expansiveness of a desert sunrise is calming, being immersed in light--no hindrances or obstacles in view. No sounds, just the immediate eruption of light. A sunrise is different here in the Middle East. When the streaks of dawn paint the sky, there is nothing that obstructs the view--certainly no mountains, and vertical slopes. There is just a large horizontal expansiveness of light rays that immediately surrounds you, that envelops you. The sunrise is sudden, almost like bursting of popcorn. There is nothing to block or filter its rays; the dawn does not linger. Sunrises in the Middle East just explosively erupt-- shooting out beams and illuminating every crevice and corner of the desert. Experiencing the consuming Middle East desert light has made me reflect on how humans can radiate light. How do we become conductors of light, transmitting it to others? Does our light dreamily streak the sky with residual shadows or enthusiastically ignite the world around us? 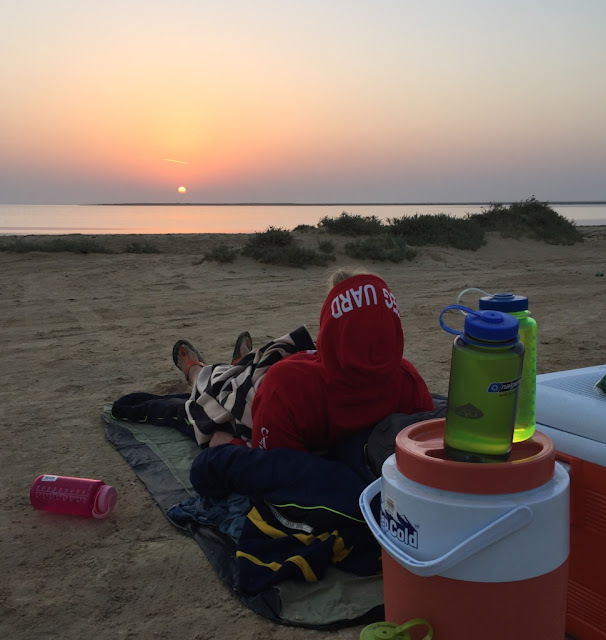 Looking out at the Persian Gulf, toward Bahrain at sunrise. The sunrise was sudden, with a full illumination in almost a matter of a minute--just an immediate burst of light. 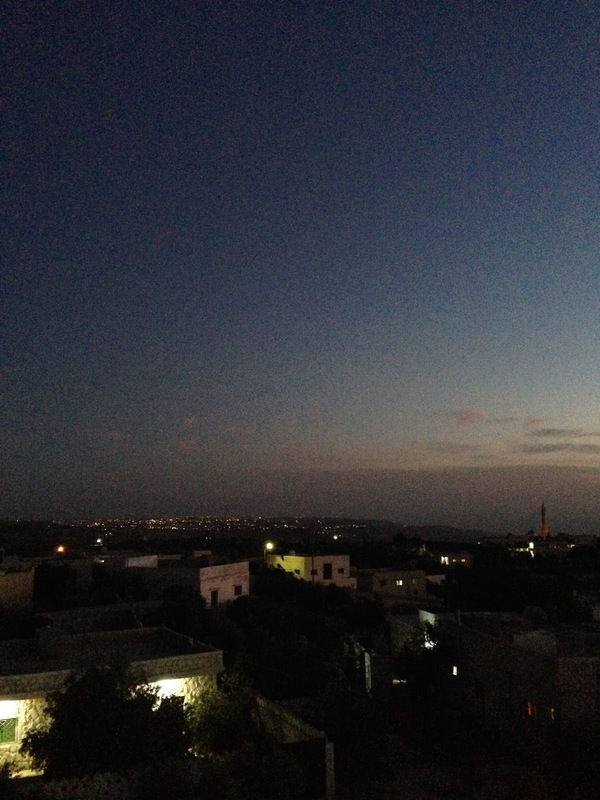 On top of a rooftop in Amman, Jordan--at a house of some new friends. At sunset, looking out onto Jerusalem and the Dead Sea. 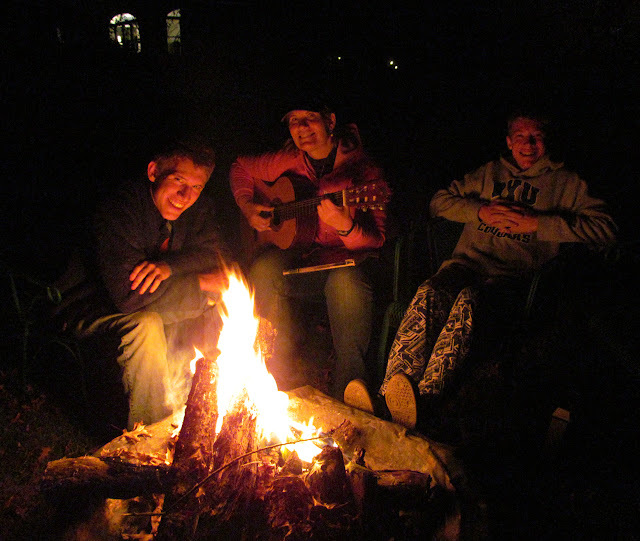 I have learned to be grateful for people who kindle new flames of friendship. I agree with Albert Schweitzer, "We must be grateful and mindful of those people who rekindle our flame--especially if we have ever lost it." People, friendships old and new, enfold so much light to me. 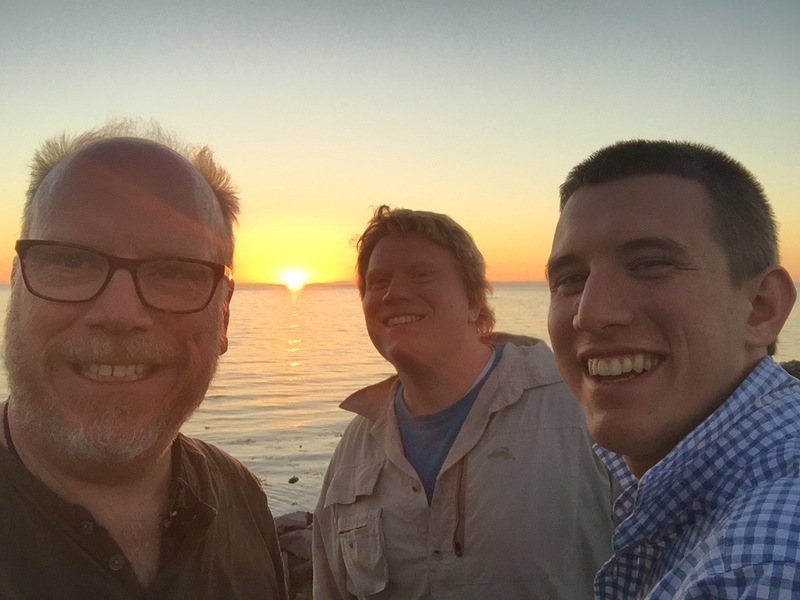 My sons and husband at an Icelandic beach, on the darkest streak of a June night with the waning sun in the distance (It was about 3 am). It is amazing to not be hindered or limited by any darkness--at least for the summer months in Iceland. But then the winter months come, and it is time to "measure the light" again. 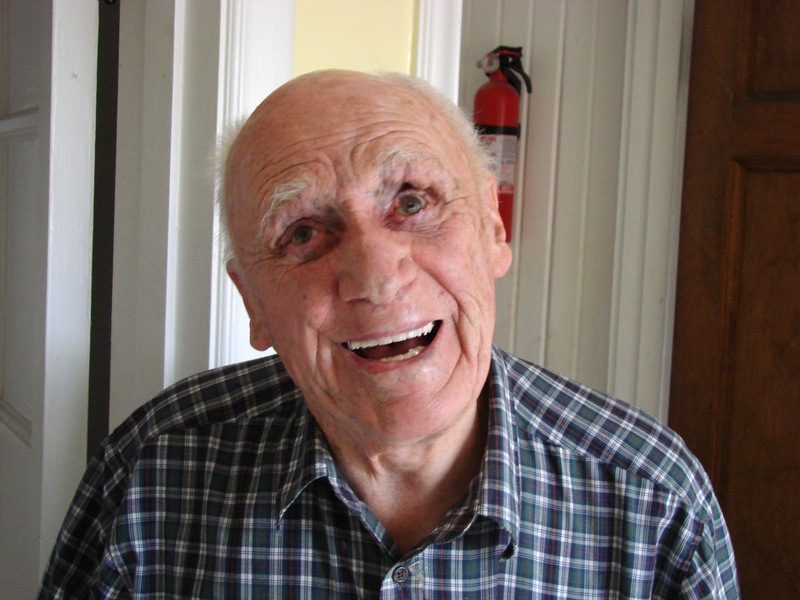 Jacques Lusseyran, a blind hero of the French Resistance, who wrote the compelling memoir, And There was Light, was blinded in an accident as a child. In his book he understands the potential for resplendent light in humans--that we can "grow light"--even in bleak shadows or blindness. He writes how he began to understand the light within him, despite his blindness, "Inside me there was everything I had believed was outside. There was, in particular, the sun, light, and all the colors. ...Light is an element that we carry inside us and which can grow there with as much abundance, variety, and intensity as it can outside of us.... I could light myself.... that is I could create a light inside of me so alive...."
He continues, "I could no longer afford to be jealous or unfriendly, because, as soon as I was, a bandage came down over my eyes, and I was bound hand and foot and cast aside. All at once a black hole opened, and I was helpless inside it. But when I was happy and serene, I approached people with confidence and thought well of them, I was rewarded with light." Therefore, we can grow light, steadily and incrementally, until we can light up the world in our sphere of influence. Light can grow. Our relationships can be sweeter, and we are more lovable when we grow light. The world, as it tussles with darkness and light, will be better because we strove to be radiant, instead of casting shadows. There is a need to periodically measure the light in yourself. Where is my source for light? Is it diminishing, and when/where can I retrieve it? How much longer is it going to be light before I need to prepare for the night or darkness? And sometimes when the light fades away, we need to battle the shadows until the light appears in view. To know where to search for light and escape the darkness is one of the lessons of each individual life. We need to teach our children to sometimes step into the darkness, encouraging them that the dawn or light will be just ahead--giving them hope. The path will become navigable, but sometimes journeys begin at dusk. 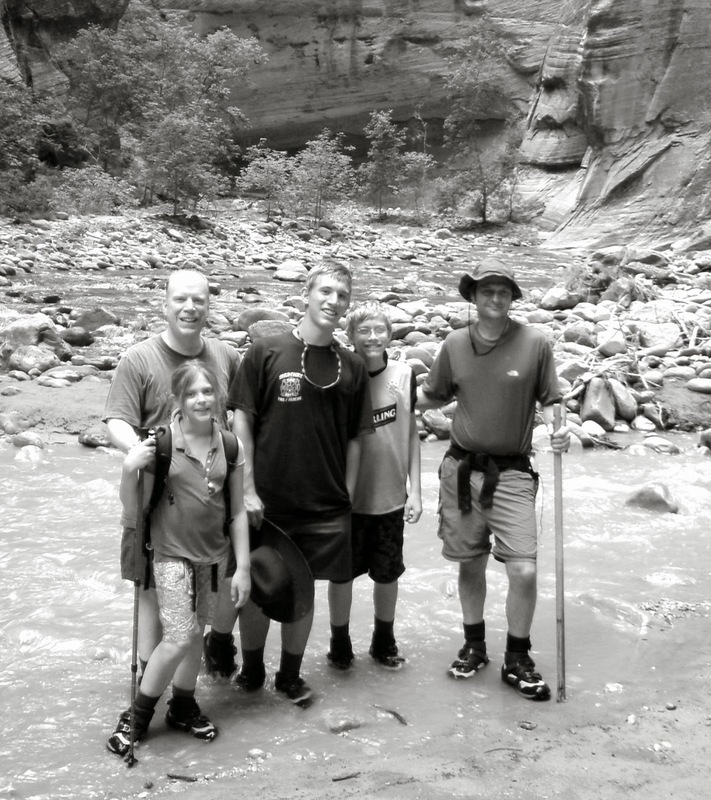 A few years ago my husband and two sons were hiking 'The Narrows' in Utah's Zion's National Park with a brother-in-law and niece. They got a later start than desired (although early enough), and the water was deeper than usual that time of year. Traversing across the river took them longer than expected. Transportation in the park is comprised of shuttling from one point to another in a van, and they knew the last van pick up for the hike would be at 11 p.m. My husband, calculating their pace (measuring the emerging diminished light in the canyon), sent my 14 year old son ahead to go two miles with a headlight to inform the shuttle they were coming. Otherwise, they would have to camp on the river without provisions. Although somewhat fearful, he sloshed through the water, first in the dusk, and then in the dark, to reach the shuttle. Sometimes my son, now 22, reflects on that day when he trudged through the serpentining river alone, with the looming canyon walls surrounding him. He says he conquered something in himself that day. After that trek in the river, battling the shadows, he was never a child again. He knew that he could do hard things. The boy that had first entered the river in the morning had somehow grown years in those hours, especially in the final push to find the light. He began to understand that measured moments count, as you go towards the light. I have been in Iceland in December and then this summer we were there in June/July. Obviously, the difference in light is stark. In the summer, like youth, you know you know you have endless time. There are no limits because there is no darkness; everything is possible. However, in the winter, you must calculate and measure every moment of light in the day. Determining the distance, measuring the moments of light, and understanding the journey are all critical--especially if you must trek in the darkness. One needs to be aware to have charged batteries and plenty of candles if you get stuck in those measured moments of shadows. Know and have faith the dawn will come. We need the dark to know and see the light. Francis Bacon said, "In order for the light to shine brightly, the darkness must be present." Thus, luminous moons and stars, bright suns in sunrises and sunsets, and blazing campfires would not be as beautiful if the darkness did not exist. Life consists of knowing both forces of dark and light, but chasing the fireflies that bring luminosity to our souls. To fill our reservoirs with light, and then give back to a world that needs your forgiveness, tolerance, and compassion is casting out the shadows. As Martin Luther King wisely surmised, "Darkness cannot drive out darkness. Hate cannot drive out hate, only love can do that." That is the kind of love that can consume or burst on a desert sand dune--filling the entire horizon with a glowing light. We humans can never underestimate the power of our light to ignite change, give warmth to others, and radiate hope. We can "grow light"--just like acorns become giant oak trees. And if we grow our lights to be as stately and tall as trees, we are even closer to the stars. Sometimes I only want to know and be in light. I don't want to have my loved ones experience shadows. Yet I know deep down that we must live with these two forces of light and darkness.We must know how to battle the darkness with hope so we can find the light we are searching for. The contrast of light and dark only makes the glowing light more brilliant and dazzling. Thank you for enlightening me. I look forward to seeing the next adventure's you will share !! Have a very Merry Christmas and Happy New Year !! It is a pleasure to get to know you, like John and Daniel, this is smith that guide my steps towards you. My meeting with Smith is out of the ordinary. It had to be done, is my guide, is my stick of pilgrim. I pass these links to Florence Dominguez, president of the Association ADAPEI 04. We will post your blog to give hope to parents. of autistic children. Just for the record, do you leave a autism association.